Mary Ward Palmquist, 90 of Duluth, died peacefully, Friday, March 29, 2019 at Essentia Health St. Mary's Medical Center. Mary was born April 29, 1928 in Superior, WI to George R. and Nelle (Wimer) Ward. Mary attended the Villa St. Scholastica Stanbrook Hall, and graduated from Downers Grove High School in Illinois and the Western College for Women in Oxford, Ohio (now Miami Ohio University). Mary married Albin Palmquist on July 9, 1954 in Duluth. She worked for the Arrowhead Association of Minnesota, and the UMD bookstore. She was a volunteer for 20 years at Essentia Health St. Mary's where she was a past president, board member and past Volunteer of the Year of the St. Mary's Auxiliary. Mary was an avid golfer and Minnesota Vikings fan. She was a member of Lakeside Presbyterian church. Mary was a loving and caring mom and grandmother and loved spending time with her family. She was preceded in death by her parents; her husband Albin in 1993; her brother George Ward, Jr.; her twin sister Betty Clarke; and her daughter Mary Pat Palmquist. Mary is survived by her six children: Bob (Debbie) of Duluth, Barbara (Michael) Dorn of Maple Grove, MN, John of Maple Grove, Joan (Paul) Landreville of Roseville, MN, Tom of Bloomington, MN and Lisa (Charles) Lawrence of Meridian, ID; 13 grandchildren and one great-grandson. VISITATION: Monday, May 6, 2019 from 10 a.m. until the 11 a.m. MEMORIAL SERVICE at Lakeside Presbyterian Church. Inurnment will be at Forest Hill Cemetery. If so desired, memorials may be directed to Essentia Health St. Mary's Auxiliary. Arrangements by Dougherty Funeral Home, Duluth, 218-727-3555. 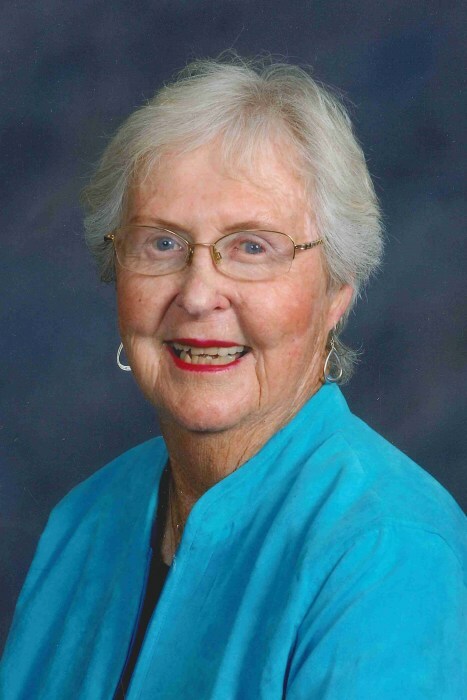 There's still time to send flowers to the Visitation at the Lakeside Presbyterian Church from 10:00 AM to 11:00 AM on May 6, 2019.